Focusing on driver involvement, to provide an immersive experience, the new Elise reaffirms the company’s leading position in automotive engineering. A benchmark in purity and balance, the Elise is a favorite amongst drivers and enthusiasts, and to date nearly 33,000 examples have been hand built at Lotus’ famous Hethel factory. Distilled from the very essence of the company’s heritage, the Elise carries Lotus founder Colin Chapman’s vision of efficient engineering into the future and arrives as the company continues its return to form with its strongest ever line-up of vehicles. The Sprint’s standard lightweight components include a Lithium-Ion battery, saving 9 kg, Lotus’ beautifully detailed carbon race seats, 6 kg, new lightweight forged alloy wheels, 5 kg, while the carbon access panel, roll hoop cover and engine cover, and polycarbonate rear screen save 6 kg. Collectively they cut an impressive 26 kg, compared to the previous Sport and Sport 220 models, and together with the improvements made to the whole Elise range bring the weight of the new Elise Sprint down to just 798 kg (dry). This includes new, optional two-piece brake discs, saving 4 kg, which will be available from May this year and optional carbon sill covers (-0.8 kg). 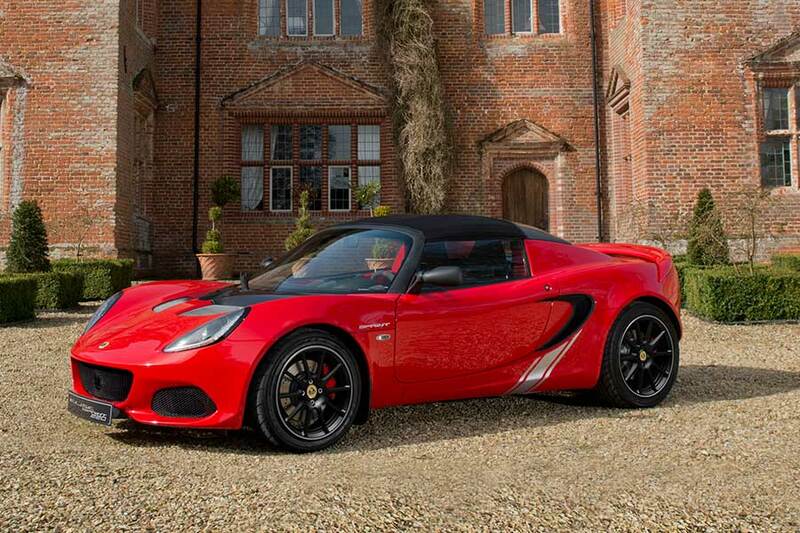 This reduction in weight translates into quicker acceleration (with 0-60 mph in 5.9 seconds and 4.1 seconds for the Elise Sprint and Elise Sprint 220 respectively), harder cornering and a power to weight ratio of up to 168 hp/ton (Elise Sprint) and 257 hp/ton (Elise Sprint 220). Other highlights comprise bodywork keyed color inserts for the sports seats, transmission console and HVAC surround, along with Sprint badge stitching. The Sprint’s detailing continues inside with an array of optional Alcantara® trim panels on the doors, sills, seats and vents surrounds, all with contrasting stitching. In addition to injecting some visual drama into the new Elise’s cabin, Lotus’ beautifully detailed open-gate manual gearbox also provides a much more positive and direct operation – giving more precise and quicker shifting. Both technically and aesthetically appealing, thanks to the exposed open-gate design, it further reduces weight with a net saving of 1 kg. An evolution of the design first used on the Exige Sport 350, but specifically optimized for the Elise, it perfectly matches the Lotus’ personality. The cabin also benefits from a new center console, as seen on the Exige and optional carbon sill covers which reduce weight by 0.8 kg and increase the door aperture by up to 10 mm, aiding ingress and egress. The Elise’s instrument panel has also received attention, with new graphics making it easier to read and a new in-car entertainment system, including iPod® connectivity and Bluetooth® functionality, can also be selected when ordering. Options for the new car include Alcantara® trimmed steering wheel, vent-surrounds and sills. Further enhancement can be specified, including a new paintwork color: “Electric Light Blue” joining the Lotus core color range. The new Elise Sport and Sprint are available in two engine options: the 1.6-litre or the supercharged 1.8-litre. 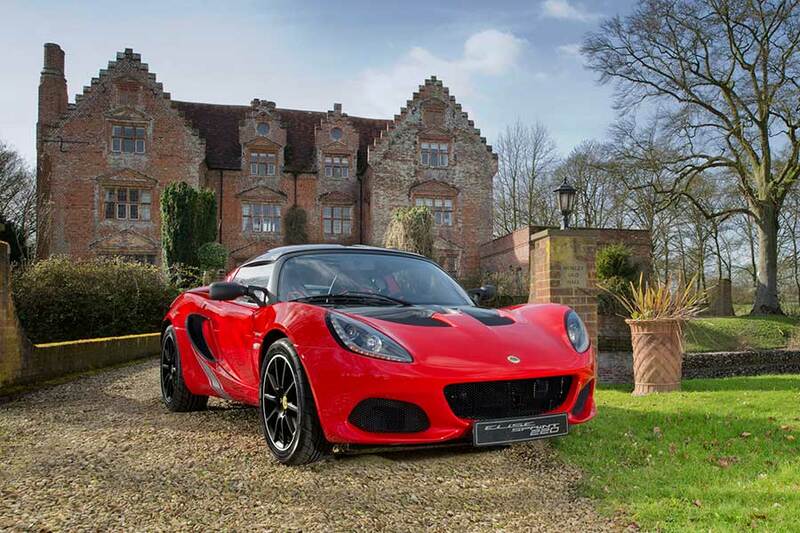 Offering 134 hp/160 Nm of torque and 217 hp/250 Nm of torque respectively, they have been specifically tuned to suit the Elise and both help to deliver a benchmark power-to-weight ratio and class leading efficiency. Being so lightweight, emissions are extremely low with 149 g / km CO2 and 173 g / km CO2 for the 1.6 engine and 1.8 engines respectively. Retaining the elements that have always kept the Elise ahead of rivals, the car is built around an extruded and bonded aluminum chassis which is both tremendously strong and torsionally stiff – weighing just 68 kg. Every new Lotus Elise customer can personalize their vehicle through the Lotus Exclusive program. Developed by the Lotus Design team, it combines traditional British craftsmanship with the best of modern design. Conceived to inspire customers, allowing them to tailor vehicles to their personal taste, it offers a comprehensive array of options and provides an alluring alternative to an off-the-peg sports car.